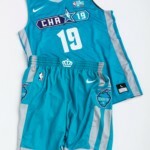 CHARLOTTE, N.C. (News Release) — ESPN and the NBA today announced the rosters and coaches for the 2019 NBA Celebrity All-Star Game presented by Ruffles, which will air exclusively on ESPN and the ESPN App, Friday, Feb. 15, at 7 p.m. ET from Bojangles’ Coliseum in Charlotte, N.C. 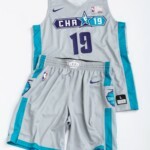 The home team will feature celebrities with Carolina roots, including ESPN college basketball analyst Williams and 2018 WNBA Rookie of the Year A’ja Wilson, facing off against reigning MVP and rapper Quavo, among others. Dawn Staley, three-time Olympic Champion and member of the Naismith Memorial Basketball Hall of Fame, will serve as the home team’s coach, while the 2018 WNBA Champion Seattle Storm’s Sue Bird will coach the away team. Cassidy Hubbarth will return as the host with play-by-play voice Mark Jones providing commentary. 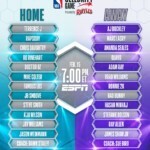 Chiney Ogwumike will make her first appearance as an analyst, while popular television and radio personality Peter Rosenberg rounds out the quartet. Ogwumike and Rosenberg will serve as roaming analysts and special guests will join the team during the telecast. Both rosters will also feature a “hometown hero” for the first time, honoring exemplary citizens with a chance to play in the game. Jason Weinmann, a 47-year-old Marine who rescued North Carolina flood victims using a military transport vehicle during Hurricane Florence, will play on the home team, and James Shaw Jr., a 29-year-old Nashville resident who disarmed a gunman in a local restaurant, will suit up for the away team. 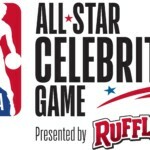 Ruffles, the Official Chip of the NBA, will go all-in again this year as the presenting partner of the 2019 NBA All-Star Celebrity Game. For the entire game, celebrity players can score big by shooting from the potato chip brand’s 4-point line, “The RIDGE,” resembling the ridges in Ruffles potato chips. For every 4-pointer made from “The RIDGE” during the game, Ruffles will donate $4,000 to foster environments of inclusion in sports in partnership with the Special Olympics, up to $40,000.